Wonderful chocolate favors to make your event unforgettable! 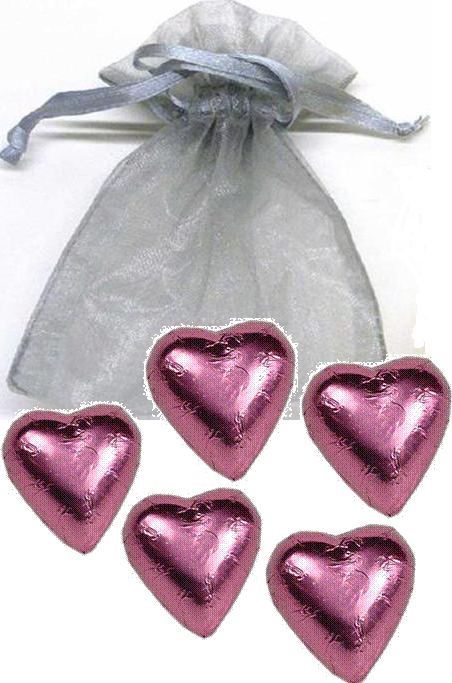 5 of our attractively foiled, mouth-watering Chocolate Hearts make a great gift that gets accentuated when packaged in a beautiful Organza bag. The bag measures 3” x 4”. The hearts and the bags can be had in your chosen colors.